What Approach to Take on North Korean Sanctions? - Integration Through Media ....! What Approach to Take on North Korean Sanctions? 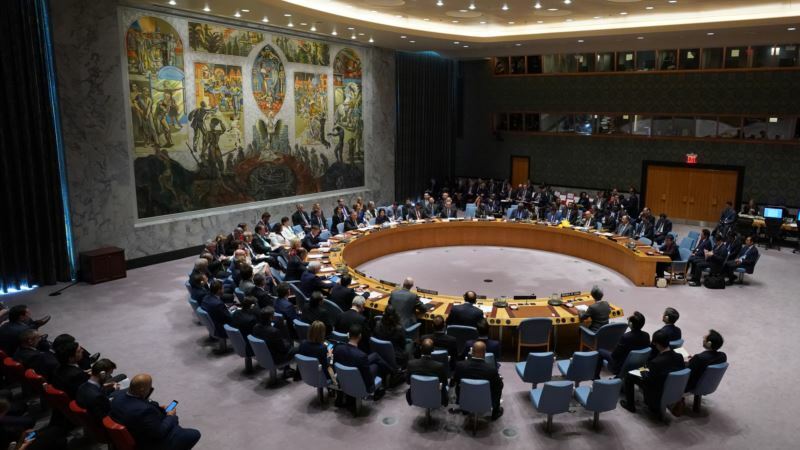 (VOA): The United States has called for the continued full enforcement of United Nations sanctions on North Korea after the two Koreas moved to establish rail and road links across their shared border and South Korean President Moon Jae-in continued to make the case for easing international sanctions against Pyongyang as it makes incremental progress toward denuclearization. Washington repeatedly has said that sanctions on North Korea will remain in place until Pyongyang abandons its nuclear weapons and ballistic missile programs. The United Nations sanctions currently in place on Pyongyang are designed to sever the resources necessary to develop the North’s weapons programs and deplete its cash reserves. “With the denuclearization of North Korea, by agreeing to destroy their nuclear arsenal, they need to have the confidence that they have made the right choice,” said Moon. Former U.S. Ambassador to South Korea Christopher Hill said that while the atmosphere on the peninsula has changed, that wasn't necessarily facilitated by Pyongyang. “I think people who call for a reevaluation of sanctions need to explain how North Korea has somehow changed with respect to denuclearization,” Hill said. “I'd like to hear the argument that suggests that they've done something in denuclearization,” Hill added. He added that in Kim’s 2018 New Year’s Day address, the North Korean leader spoke of “reunification” at least ten times. “So we must consider that North Korea may intend to hold on to these weapons because they are instrumental to achieving that “final victory,” which North Korea propaganda clearly states is the reunification of North and South under the Kim regime,” McMaster cautioned. Bruce Cumings, an American scholar who has extensively studied North Korea and the Korean Peninsula said he doesn’t believe Kim’s move toward denuclearization is a ploy. But the RAND Corporation’s Bruce Bennett says it’s important to consider what the international community can give North Korea in exchange for progress on denuclearization. “The biggest mistake is sanctions relief. Sanctions are something that hold together as long as there are no holes in them,” said Bennett. Bennett says the international community must be careful about next steps. Although it’s likely that Kim will not accept to a limit on weapons productions, according to the Harvard Belfer Center’s Gary Samor. But Samor said it must be made clear, that economic assistance and cooperation can’t be put into motion, unless Pyongyang takes serious steps toward denuclearization.